Li Bai, the famous Romanticist poet of the Tang dynasty which brought poetry to a new height during his time. In the “300 Tang Poems”, now seen as the canon of poetry, Li Bai had 34 entries. Equally famous was his enjoyment of the Chinese wine. He enjoyed a carefree life in youth, worked briefly for the court he was cast away for being out spoken, in later years he came a Taoist and continue a life of wandering. He wrote over a thousand poems, on the subjects of nature, solitude, friendship and drinking. The story begins with the 2 corrupted generals, Yang and Gao who are in charged of the court examination, both were hoping to make some money out of it. 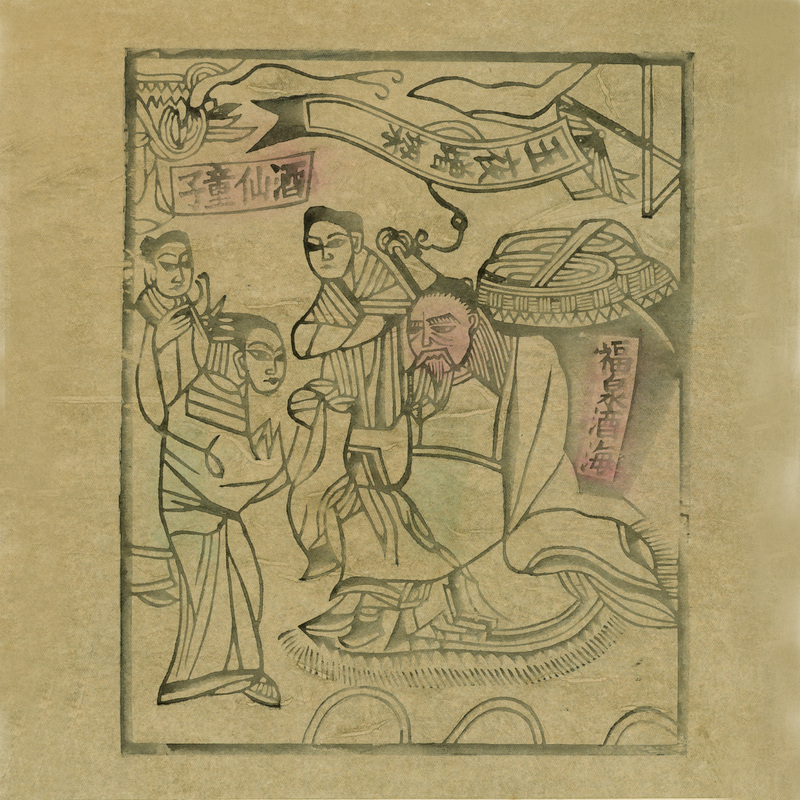 Li Bai had been recommended by the court scholar He to enter the exam. Upon seeing the scruffy clothes Li Bai was wearing, sensing there would be no money out of him, the examiners gave him a hard time. Without looking at his paper, he was teased and mocked; feeling unjust Li Bai vowed to give equal humiliation to the two and walked out of the examination hall. Then one day, the Tang Emperor received a letter from the neighboring country, the letter was written in their own language and nobody in court could read it. Feeling embarrassed by their own failure, the officials wanted to take the blame out on the messenger. The messenger replied, if the Emperor wanted to be friend with their country, he should seek a way to read the letter, then the two countries could become friends, otherwise they would be at war. Among the hundred scholars at court, nobody could read a word of it and Li Bai was recommended by scholar He. 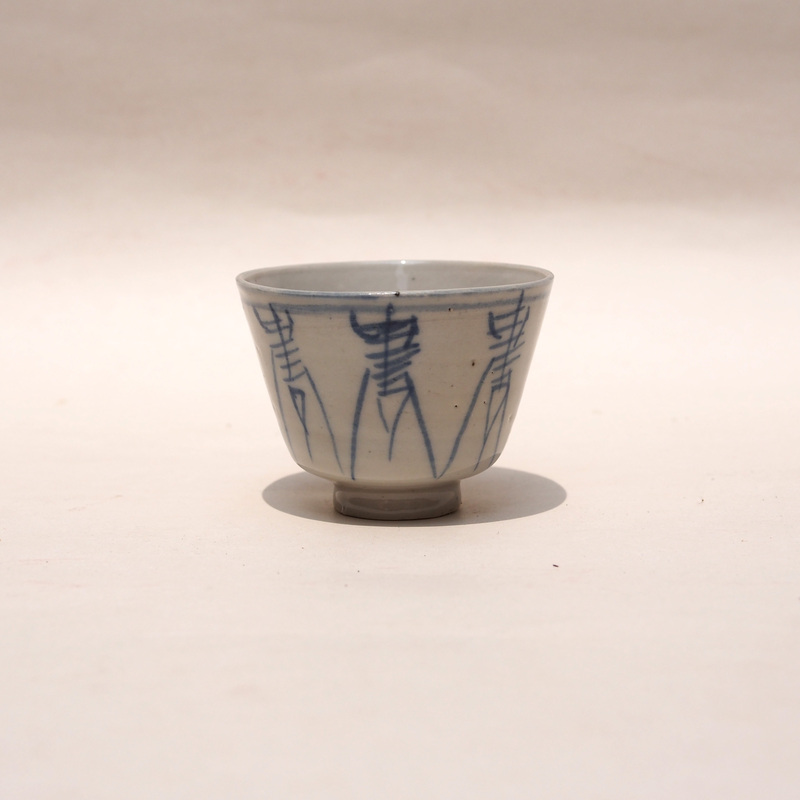 “But Li Bai was not an official.”, said Yang, “and he drinks too!”. The Emperor said he himself drinks as well and award Li a grand title so he can help out in the palace. Li finding his new earned power, took his chance to played tricks on the two. Here is what happened. 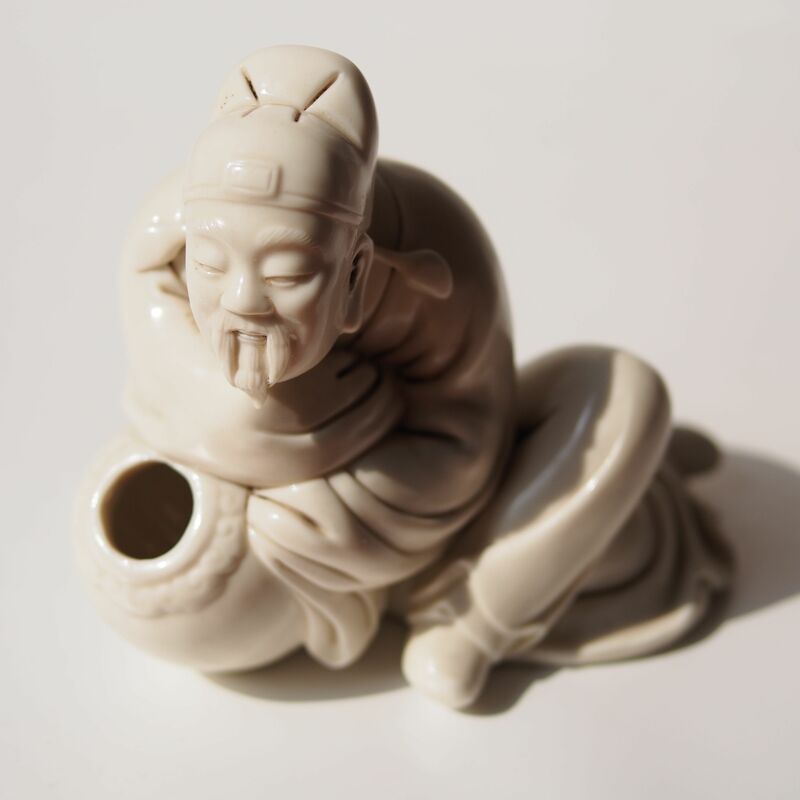 This is a figurine of the Kui Xing, unlike the one posted earlier, this figurine has a more popular composition; its left leg is kicking backward in the air. 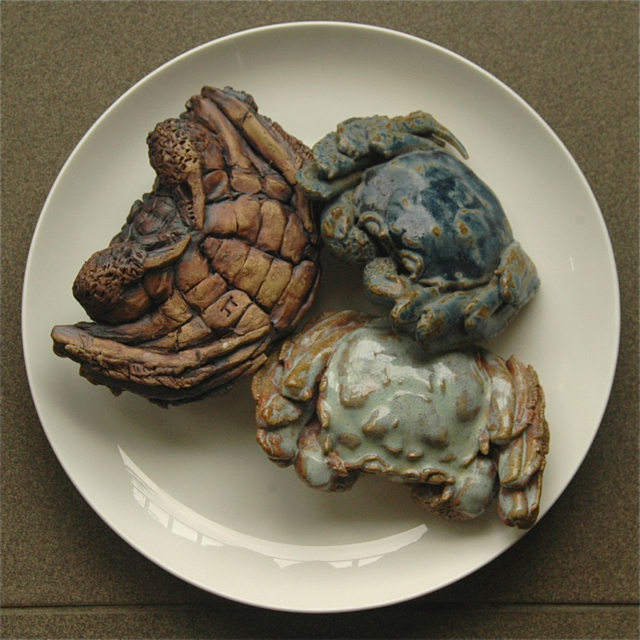 This composition is inspired by the word 魁 (the Chinese word for “Kui”). Can you see the resemblance? 魁, on the left is the word 鬼 (ghost) and the left 斗 (dou – traditional Chinese unit for volume, where 1 dan = 10 dou). The word 鬼 (ghost) reflect the appearance of Kui Xing, a talented scholar who was born with a face so slightly that he looked like a ghost . The word 斗 (dou), goes back to phrase 才高八斗 which is a praise for someone’s intellect, if the intellect in the world is measured to be 1 dan, someone who has 8 dou of the world intellect who be a genius. Dou therefore became a measurement of intellect as well as for wine. 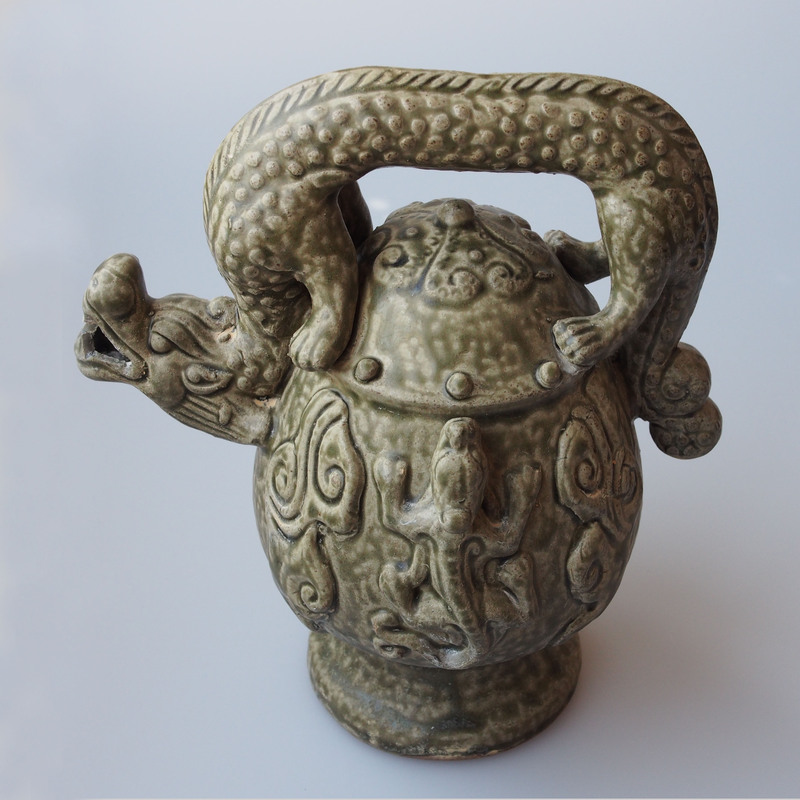 The Chinese started making wine some 5000 years ago and the container developed from bronze to lacquer, then to clay and porcelain. 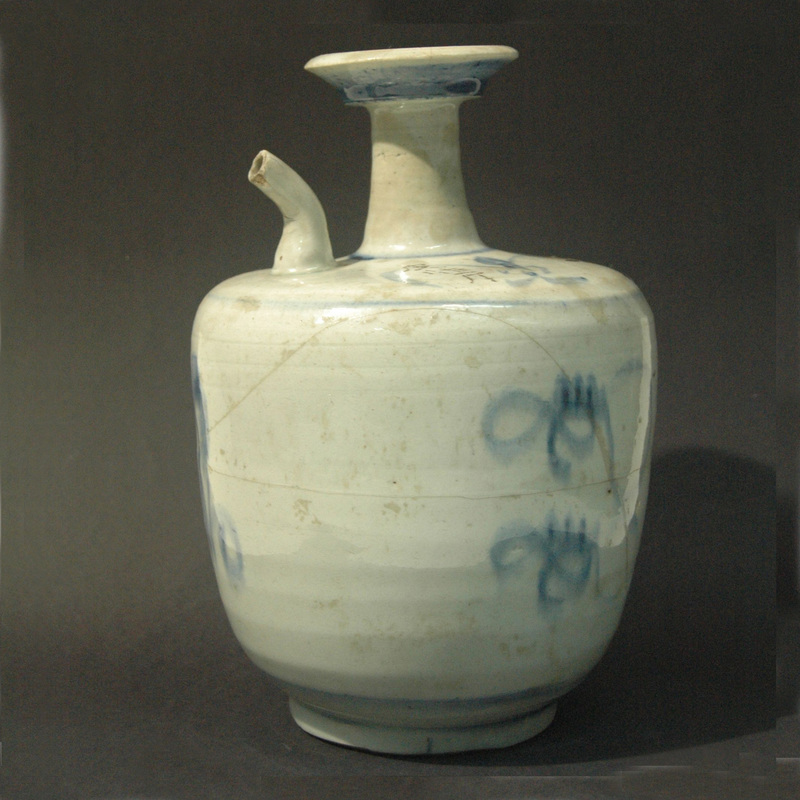 This blue and white porcelain is one that is used by regular folks, this kind of flagon are bold in form and in the pattern different from the usual blue and white porcelain ware. 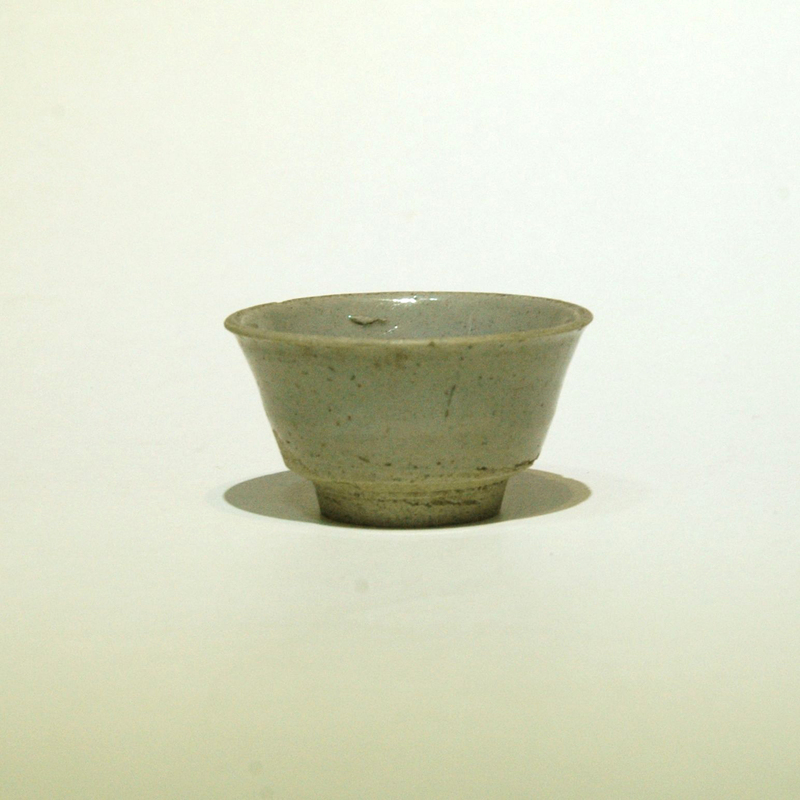 The traditional Chinese unit for alcohol are measure in sheng, dou, dan. 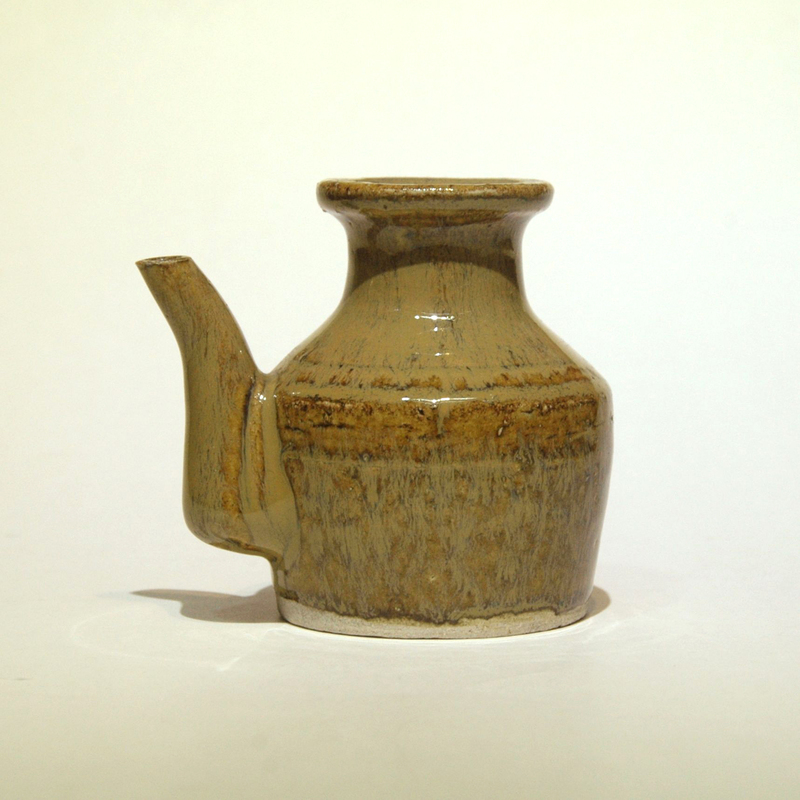 This flagon holds about 2 dou. If you can also hold 2 dou of Chinese wine, check our the Wine God wood block print! Ever wonder how to clean the cast iron wok? Here is a Chiu Shu, Chiu anything related to cooking while Shu is the plant sorghum. 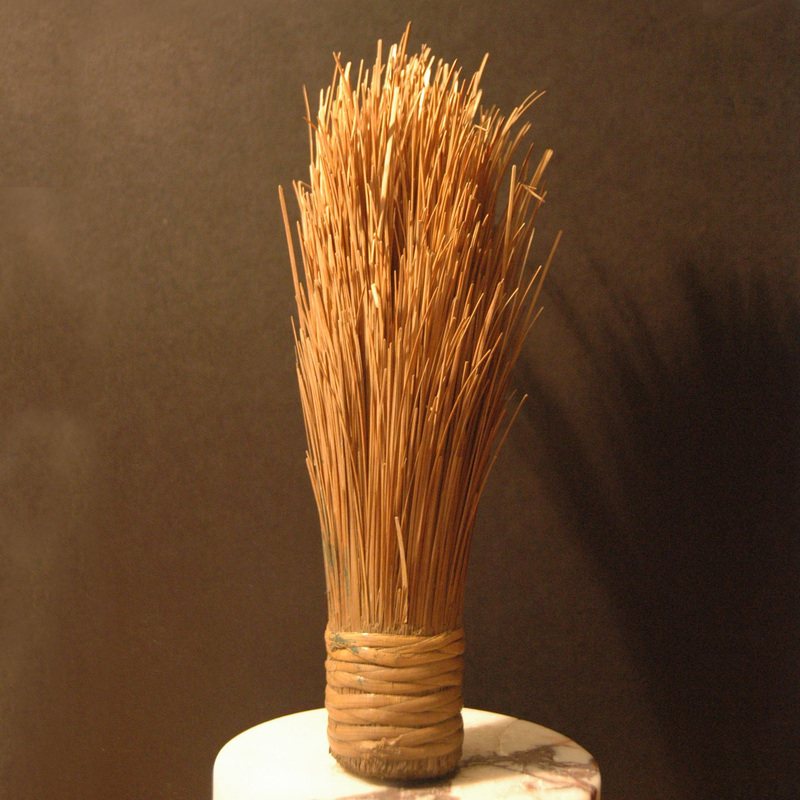 The hair of the brush is indeed made with the tip of the sorghum stalk. In China the gain of the plant is most famously use to made into a strong wine.